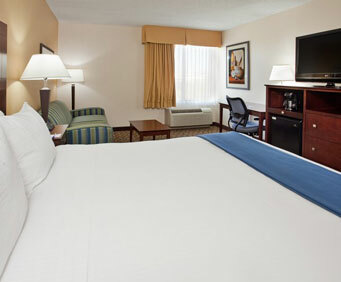 The sunny town of Scottsdale, Arizona, is home to the Holiday Inn Express Hotel Scottsdale North, a great place to lodge that is close to Salt River Fields at Talking Stick. At this hotel, you can enjoy amenities like a free buffet breakfast each morning, an indoor swimming pool, High Speed Internet, a spa tub, the fitness facilities, and a picnic area. It is also very near Taliesin West and Tournament Players Club. 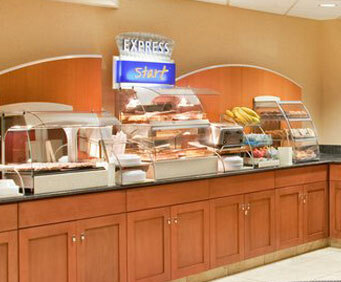 There's no better way to start your day than a tasty breakfast in the style of a buffet. Once you've eaten our food to your hearts content, you can do whatever you want to. How about checking out the Players Club, or exploring the river? 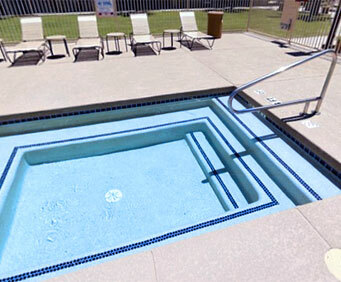 Checking out the various attractions of Scottsdale is fun, but when you return the pool and spa tub will be waiting for you, beckoning you to come and take a dip and relax. If you like a workout before bed, you can take advantage of our facilities. And don't forget to enjoy one of your meals outside in the picnic area. Each room at the Holiday Inn has a coffee and tea maker, an ironing board and iron, a refrigerator, a microwave, a TV with premium channels and pay movies, High Speed Internet, and the ability to make free local calls. For your meals, you are within driving distance of many great restaurants such as Switch Restaurant and Wine Bar or Centurion. For an easy journey of 10 minutes you can get to the Paradise Valley Mall for a fun time of shopping, or for twice the amount of driving check out the Rose Mofford Sports Complex.